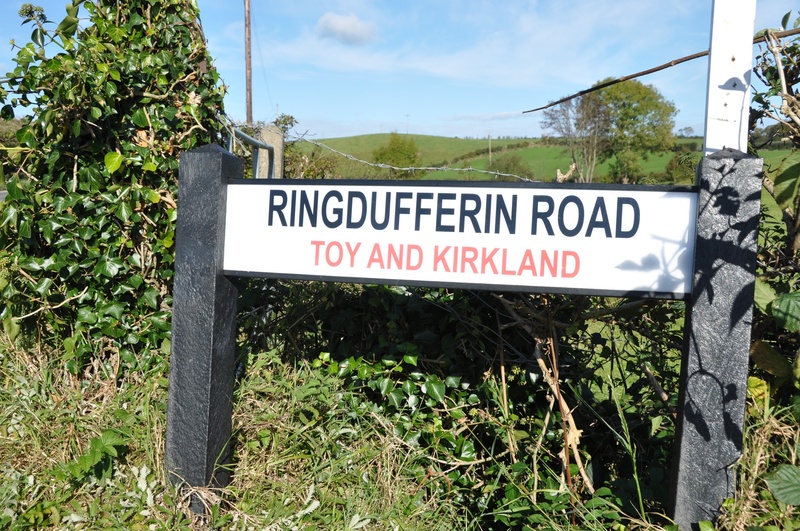 Remember the townland of Ringdufferin? As I was leaving it, I drove past this sign. 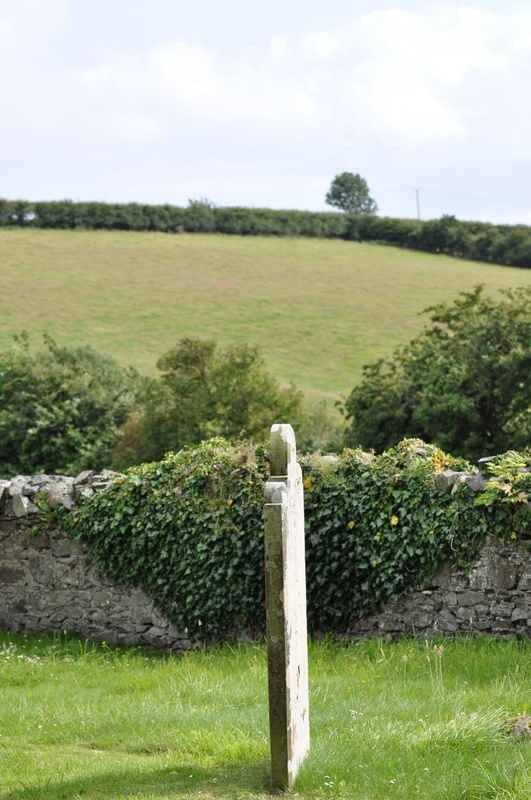 Where did a townland get a double-barrelled name? According to my usual source, the PLACENAMESNI website, Kirkland and Toy were originally two separate areas. I don’t know when they were officially joined together. To this day they are sometimes used individually, and Toy sometimes appears as Toye with an e.
The origin of the name Kirkland is pretty clear, using the Scottish word “kirk” to refer to a church. 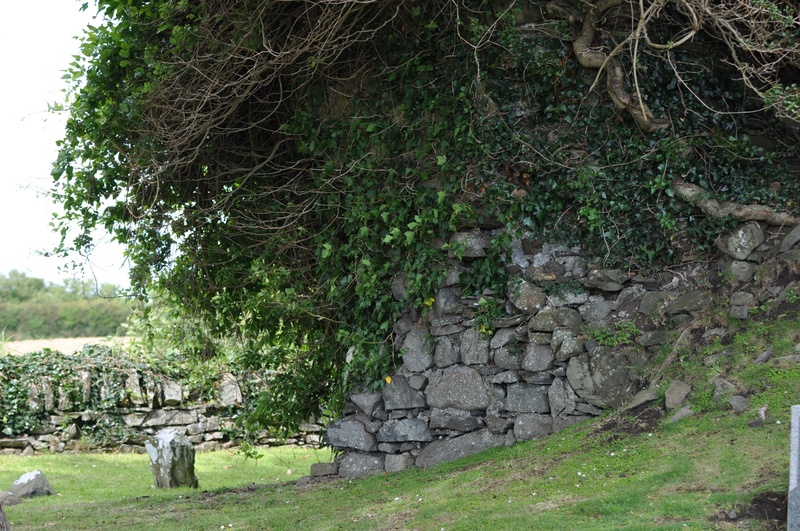 The ruins of the church of St Andrew Killaresy stand in a small walled graveyard on Lower Clay Road. 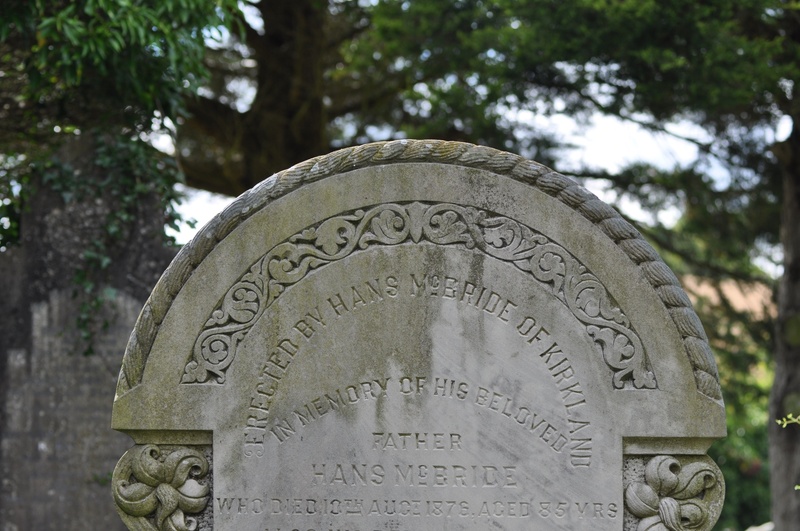 This is where I found the single-barrelled name of Kirkland carved on a gravestone in 1878 for the McBride family. The origin of the name Toy is more difficult. PLACENAMESNI offers one possibility. Gaelic Ireland, in prehistory and in early historic times, was made up of small kingdoms called tuatha. This could perhaps be “the townland of the tuath“. (A similar origin is suggested for Ballintoy in County Antrim). This is what the kingdom looked like in September 2015. I photographed the usual animals. And the less usual. 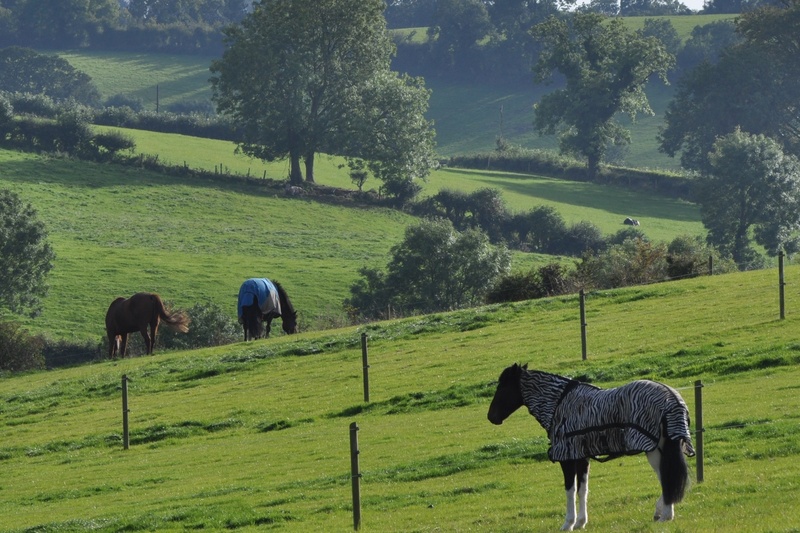 Maybe the king of the tuath gets to wear a zebra cloak. 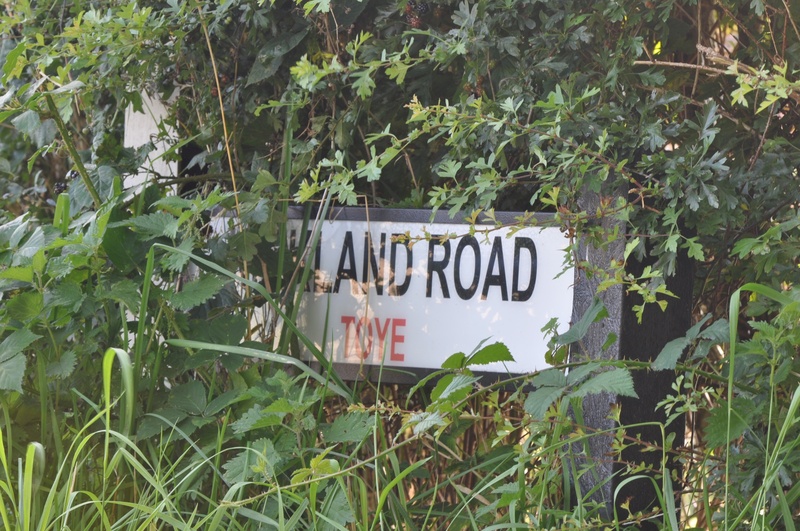 Which other townlands border Kirkland and Toy? To the east, Ballymacromwell. To the south, Rathcunningham and Tullymacnous. 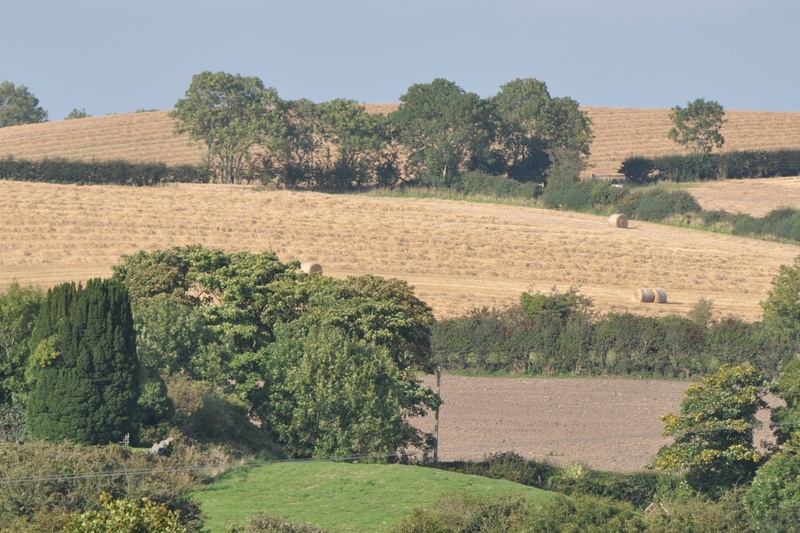 To the west, the main part of Clay townland. To the north, the small detached portion of Clay and a sliver of Ballygeegan. Which civil parish is Kirkland and Toy in? Killyleagh. And finally, click here to see a map of Kirkland and Toy and to read about the townland’s name on my usual source, the PLACENAMESNI.ORG. Our donkeys might get jealous if they see this. Hehehe! What do you think they will demand?? I looked online – you can buy a giraffe version too, but I haven’t seen that in real life. You are getting closer to a place dear to my heart, Simmy Island. I hope you get to see it. Simmy Island is now owned by Sir William Hastings, but was once owned in the early 1860’s by my 2nd great grandfather, Thamas Wallace. On my trip to Ireland 2009, I received permission to visit the island. The Hastings were away at the time, but instructed the grounds keeper to leave the gate open for me. There is a very old well situated near the newer wishing well structure. Most of buildings are newer, but the garage looked like it might have been quite old because of the very thick walls. It has some interesting metal pieces on the roof. Although only about 9 acres, Simmy Island is listed as a townland in Griffiths. I am really enjoying your posts. Almost makes me feel like I am there. Thank you Nancy. 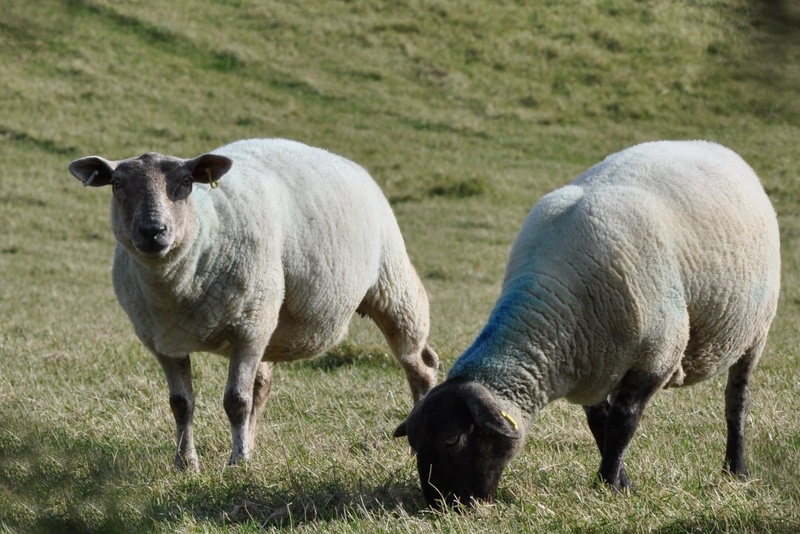 I’m so glad you are enjoying the townlands. When I reach Rathcunningham, I’ll be sure to point the camera toward Simmy Island, even if I can’t get access to it like you did. You might try writing them as I did and telling about your townland project. Never hurts to try.